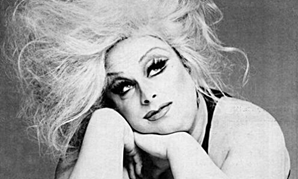 A federal court in Orlando, Florida has ruled that the estate of Harris Glenn Milstead, also known by his stage name Divine was “illegally usurped” from the drag legend’s rightful family heirs. The court now has ruled that O’Quinn, who has worked as a costumer at Universal Studios’ Florida theme park, willfully ignored Frances’ will revision in 2008 that bestowed the estate to her nieces and nephews. Noah Brodie, a Warner Bros. studio lot VIP tour operator and O’Quinn’s former business partner in Everything Divine, which was set up to leverage Divine’s assets, discovered the shenanigans while in talks with a cosmetics firm in 2011 about a Divine-themed line. “It’s such a unique and unusual intellectual property,” Brodie tells THR. “I was duped, but eventually [O’Quinn] got caught in lie after lie.” O’Quinn could not be reached for comment. For cosmetic and plastic surgery visit our website here Matthew Galumbeck, MD. Michael O’Quinn, Divine has a message for you.